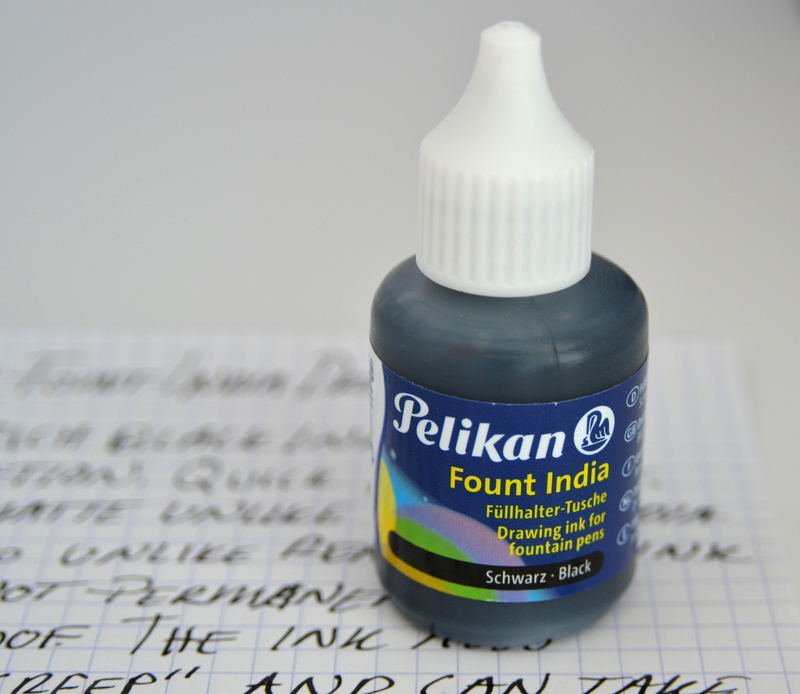 Pelikan Fount India ink is an oddball ink. India inks (most often) contain binding agents like shellac that provide permanent and waterproof characteristics and consequently make them unsuitable for use in fountain pens (NEVER put real India ink in a fountain pen). 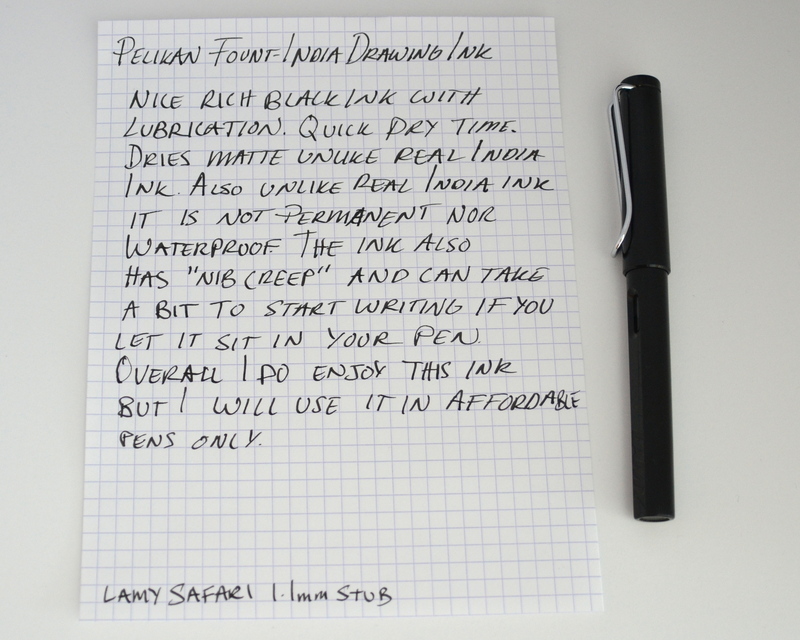 Unlike regular fountain pen ink, Fount India, has a thicker consistency that affords a very smooth lubricated feel on the paper. It is not the blackest fountain pen ink out there but it has a richness to it that few black inks can match. It should be noted that unlike real India ink, Fount India dries matte and not glossy. Because of it’s thicker consistency it can take a little bit to get the pen going after it has sat overnight but once it starts flowing the ink performs wonderfully. 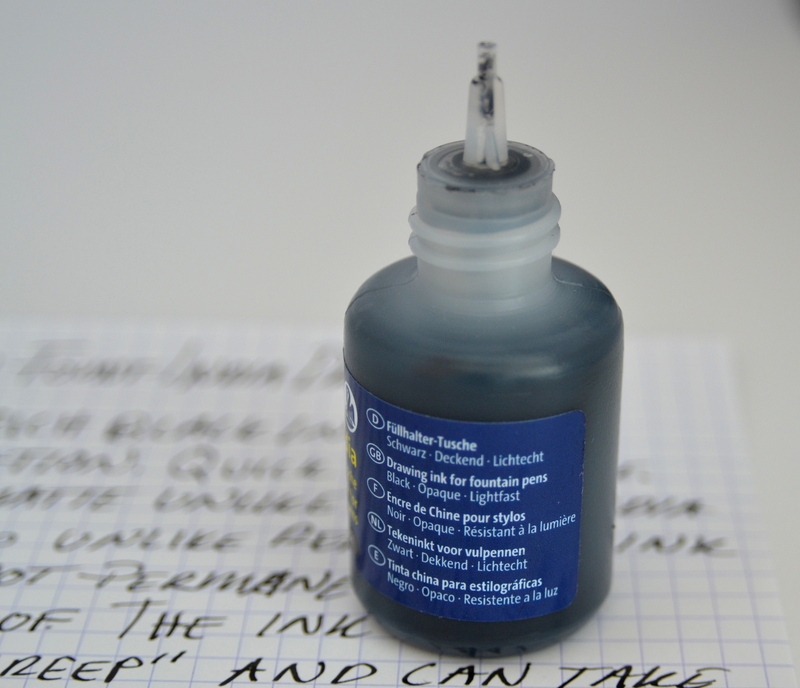 I have also noticed that this ink is especially prone to “nib creep”. I really enjoy using this ink but I only use Fount India ink in my more affordable pens that are easy to dissemble as it is a bit harder to fully clean out. I have left the ink in my pens for three weeks without any consequences but I would urge caution when using a hybrid ink like this.